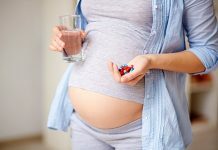 There are many reasons for a pregnant woman to try and get a good night’s sleep and also fit in some quality rest time besides – it takes the weight off her feet, giving respite to her ankles, she won’t feel as run down as some pregnant women may feel, and will find that she has more energy. One study has demonstrated that sleep apnea may increase chances of certain pregnancy complications. Sleep apnea is defined as a “sleep disorder characterized by abnormal pauses in breathing or instances of abnormally low breathing, during sleep” and such a sleep disorder could increase chances of a woman developing gestational diabetes and giving birth to a premature baby found researchers at the department of obstetrics and gynecology at Northwestern University in Chicago. Researchers are of the view that this kind of negative impact of sleep apnea on a pregnancy could have something to do with obesity, and are not sure if the sleep apnea by itself is the reason for the possibility of complications. Something else that can affect a pregnancy is the side on which a pregnant woman sleeps later on in her pregnancy. Research has found that sleeping on the left side is associated with fewer instances still birth. The study conducted in New Zealand has found that women, who slept on their right side or on their backs the night before they delivered their baby, had a significantly increased risk of a still birth. There was also seen to be a connection between chances of having a still born baby and the number of times that a woman got up to go to the bathroom on the night previous to delivering her baby. Another factor that was seen to affect rates of still birth was the amount of day time sleep that women got. Those that slept more during the day and those who slept longer at night were more likely to have a still birth. This is not the only reason that women are advised to sleep on their left side when pregnant – it is thought that this position is most ideally suited to facilitate blood supply to the baby from the mother’s heart.